The PM revealed the strategy on Sunday. Malcolm Turnbull is ramping up counter-terror plans. 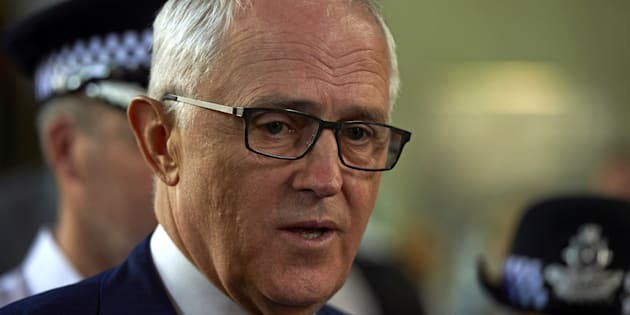 Prime Minister Malcolm Turnbull is ramping up Australia's counter-terrorism strategy with a new plan to stop vehicle-based attacks like the one that rocked Barcelona this week. Turnbull revealed the plan, called Australia's Strategy For Protecting Crowded Places From Terrorism, on Sunday. "After the Nice truck attack last year I asked the counter terrorism co-ordinator ... to get together with all of the state and territory police agencies, with business, with local government and make sure that we had a comprehensive strategy for protecting crowded places," he told reporters. NSW Police Commissioner Mick Fuller said the document would enable local councils and businesses to risk assess their assets with consistency. NewsCorp Australia reports that the strategy, formulated after the deadly attack in the French city, was recently handed to Australian businesses and councils. It outlines ways to prevent vehicle-based attacks. According to NewsCorp, the plan provides Australian users with guidance on installing bollards and other roadblocks that can halt hostile vehicle attacks like those that have occurred in several European cities. It is said to be aimed at protecting high risk public places like stadiums and shopping precincts. The document, prepared by the Australian New Zealand Counter Terrorism Committee, reportedly also provides guidelines on what to do in chemical attacks.